Treasury&apos;s mission highlights its role as the steward of U.S. economic and financial systems, and as an influential participant in the world economy. 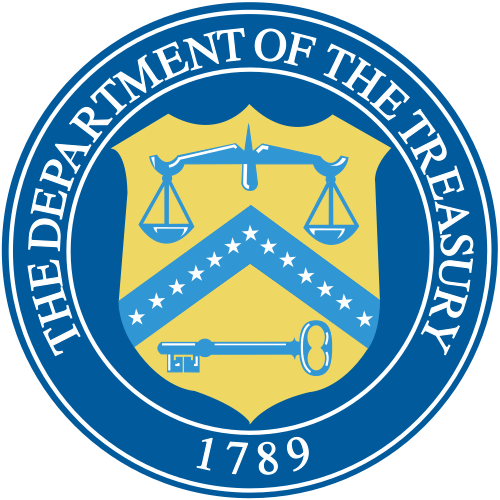 The Treasury Department is the executive agency responsible for promoting economic prosperity and ensuring the financial security of the United States. The Department is responsible for a wide range of activities such as advising the President on economic and financial issues, encouraging sustainable economic growth, and fostering improved governance in financial institutions. The Department of the Treasury operates and maintains systems that are critical to the nation&apos;s financial infrastructure, such as the production of coin and currency, the disbursement of payments to the American public, revenue collection, and the borrowing of funds necessary to run the federal government. The Department works with other federal agencies, foreign governments, and international financial institutions to encourage global economic growth, raise standards of living, and to the extent possible, predict and prevent economic and financial crises. The Treasury Department also performs a critical and far-reaching role in enhancing national security by implementing economic sanctions against foreign threats to the U.S., identifying and targeting the financial support networks of national security threats, and improving the safeguards of our financial systems. Department of the Treasury award winners are listed below. Distributed approximately 70,000 currency readers to blind or visually-impaired individuals and promoted smartphone currency identifier apps to assist with daily cash transactions. The team’s efforts resulted in approximately 85,000 downloads. Developed a bank note security sensor to detect counterfeit bank notes for cash processing operations. The technology flawlessly processed over six million U.S. currency notes and allowed for the elimination of another tool, saving an estimated $4 million per year. Saved $3 million from being sent to fraudulent actors who had stolen individuals' identity. Launched the Enhanced Budget Monitoring & Forecasting tool with faster, more accurate budget forecasting functionality. The tool provides real-time budget execution visibility and reduces reporting requirements on staff. Reduced undue, redundant, and conflicting acquisition policies by approximately 55% during the “Acquisition Policy Diet” effort, thereby streamlining acquisitions and lowering risk. Launched datalab.usaspending.gov to provide American taxpayers with more transparency into $4 trillion of annual Federal spending. The team used open source code to give stakeholders access to federal data assets that show how the government is delivering results and value. Click here to view the team and more information. Ensured that all valid, registered Financial Intermediaries met their Foreign Account Tax Compliance Act (FATCA) Reporting obligations and updated FATCA registration system to provide new functions, capabilities, and process improvements. The team’s work allows for more cost effective analysis of data. Enhanced the approval process for alcohol bottle labeling to ensure timely and accurate information for consumers and an efficient process for suppliers. Spearheaded creation of Certified Professional Employer Organization process at IRS for third-party payers; certification provides assurance to employers that third party payment entities would pay employment taxes and not expose job creators, inadvertently or otherwise, to tax liability. Led the development of a new, highly-innovative security feature for future banknotes. This has enabled the United States Currency Program to scale back other projects, saving $2 million to date. Deployed the Field Assistance Scheduling Team (FAST) tool to help taxpayer assistance centers save almost 70,000 phone assister hours for use elsewhere by more efficiently handling taxpayer issues during peak demand periods.